KUALA LUMPUR: MYHSR Corp Sdn Bhd and the Economic Planning Unit (EPU) are developing a strategic development framework (SDF) for the high-speed rail (HSR) project linking Kuala Lumpur and Singapore. The framework will outline the direction for socio-economic development that is inclusive and sustainable along the HSR corridor, said MyHSR chief executive officer Mohd Nur Ismal Kamal. He said the framework’s objectives are to align and accelerate delivery of national and state development plans, such as the 11th Malaysia Plan, Economic Transformation Programme and Rancangan Tempatan by local councils, among others. “The SDF will also integrate and synergise development to ensure complementary development and rationalise competing priorities. “The objectives are also to maximise benefits to the local communities and ensure meaningful participation in the development and growth of the cities,” he told Business Times. Nur Ismal said the framework comprises three core components, namely economy, inclusivity and sustainability, which are supported by enablers. The economy component defines priority growth areas, action steps, catalytic projects and enablers to accelerate economic growth. Nur Ismal said based on the local strengths and future potentials, the targeted growth areas will not only become the economic drivers of local areas but also key contributors to the country’s economy. “The inclusivity component ensures that local communities benefit from the economic growth by focusing on three areas, namely skills training and access to jobs, entrepreneurship, and affordable housing. “A number of policy objectives and action steps have been identified to ensure the delivery of inclusive growth happens in tandem with economic development in order to provide opportunities for all. 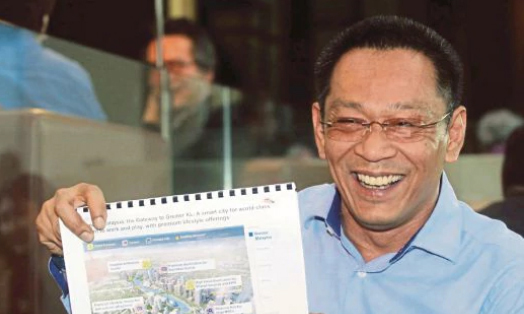 Nur Ismal said the three areas under sustainability — transit-oriented development, public transport and green city — are crucial in determining the livability and competitiveness of these cities. He said enablers are identified across the core components to ensure successful delivery and implementation. These include supporting policies, infrastructure and talent as well as suitable delivery mechanisms at the federal, state and local levels.